Over the years, many changes were made to the landscape at Graycliff Estate, 6472 Old Lake Shore Rd., Derby. 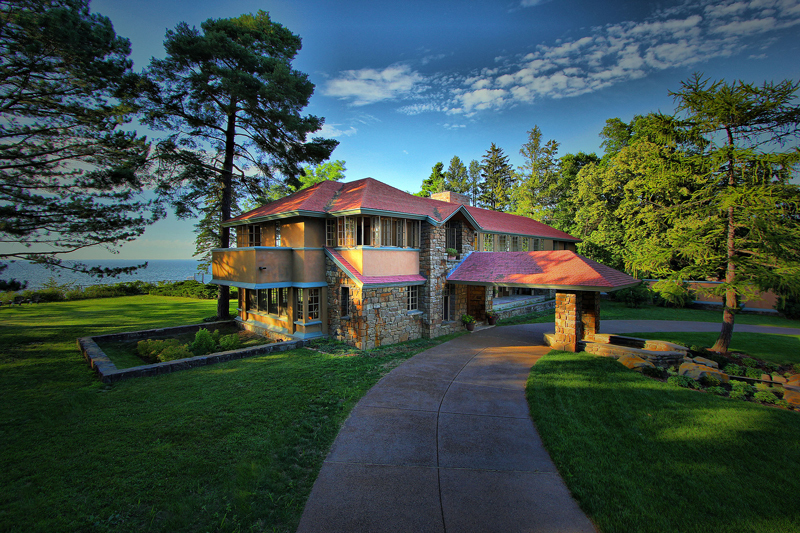 The historic landmark was designed by the famed architect Frank Lloyd Wright as a summer home for Isabelle R. Martin and her husband, Darwin D. Martin, a wealthy Buffalo businessman. To bring Graycliff back to Wright’s original vision, the landscape has been restored to look as it did when it was completed in 1931. Reine Hauser, executive director of the Graycliff Conservancy, Inc., learned a lot during the landscape restoration process, and shares five tips that you can use in your own garden. 1. Develop a plan before you do anything. “We had an elaborate plan,” Hauser said. Graycliff’s plan was more than 500 pages long. While you don’t need anything that complex, it’s still good to write down your ideas. Don’t forget to make a simple sketch of your yard to show what will go where, she said, adding that late fall and winter is a great time to plan a garden. 2. Hardscapes are at least as important as softscapes, and you must plan for both. Softscapes are the plants. Hardscapes are the manmade elements such as patios, decks, trellises, water features, driveways, paths and walls. 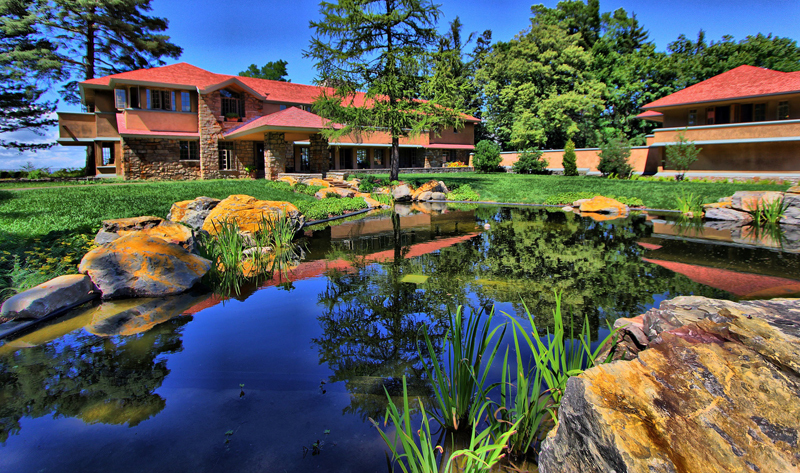 The Graycliff restoration included two major hardscapes, a natural-looking pool and a driveway. Graycliff is set high on a cliff with sweeping views over Lake Erie, and the irregularly shaped pool was designed by Wright to echo the lake. The pool has been restored and is now the size and shape that it was back in 1931. The restoration work prevents leakage and algae growth. The pool, and the fountain from which it flows, now have a double concrete liner, a new circulation system and historically accurate plantings. The driveway has been updated to meet 21st century requirements while evoking the feeling of the original design. Originally, Wright had used crushed shale that he specified be stained a warm yellow-orange. Later it had been replaced with asphalt. While they wanted to get rid of the asphalt, they couldn’t go back to the original crushed shale for several reasons. New floors are being installed inside, and visitors would track the shale inside. More importantly, crushed shale wouldn’t allow for handicapped accessibility or easy access for emergency vehicles. What they did instead was install a poured concrete driveway, tinted to match the original shale, with exposed stone aggregate. This mimics the original look while providing practicality. 3. Plan for the softscapes– your plants. As much as possible, look at the growing conditions of an area and select plants for those sun conditions and mircroclimates, Hauser said. This is a rule that they couldn’t adhere to as strictly as they might have liked at Graycliff because they were attempting to create not just a garden, but a historically accurate garden. That means that plants had to placed where they had been in 1931, even if the growing conditions weren’t ideal. “We’ll have to baby plants if they’re not in the best spot,” she said. If a plant at Graycliff isn’t in the ideal location, is it because growing conditions at Graycliff have changed over the decades or because Wright’s original choice wasn’t the best spot for the plant? “Hard to know,” Hauser said. For me, the take-home lesson is that it’s possible that a famed designer could have placed a plant in a spot that was less than ideal. You do your best, but sometimes even experts get surprised. You can choose to baby the plant if you want to go that route, but I’ve also heard several gardening experts say that they use the three-strikes-and-you’re-out rule, or some version of it. If a plant isn’t doing well in the spot they chose, they’ll move the plant once. If it’s still not doing well, they’ll move it again. But three strikes and you’re out– after that the plant either survives or it doesn’t. Do you want to coddle your plants or oversee an environment where it’s survival of the fittest? It’s your garden and you can do whatever you choose. Besides choosing plants based on growing conditions, Graycliff had to work within the constraints of historical accuracy. You might like to use the element of history in your garden, too. Some people are interested in re-creating a garden in a particular style or from a particular time period, such as Victorian to match the architecture of their house, or Arts & Crafts, which is the style of the Graycliff landscape. Hauser said there is a wealth of information available to help you create a garden from a past era. Graycliff had to restore a particular garden at a particular point in time. 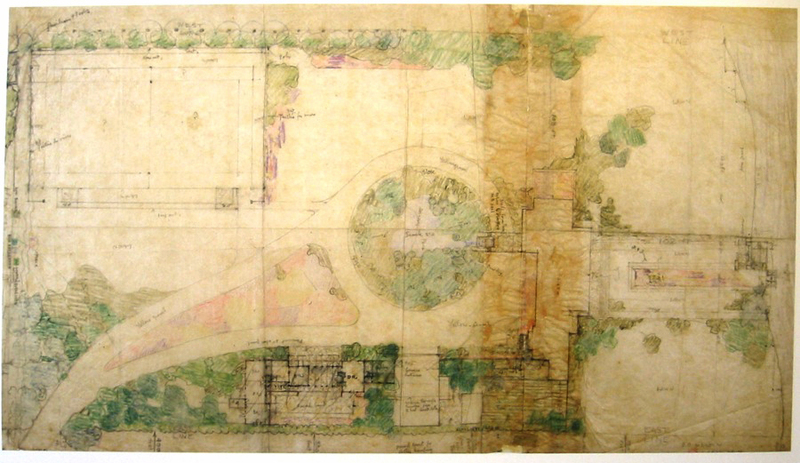 To determine which shrubs, trees and plants were part of the original design and which were planted later, Hauser said they looked at hundreds of photos of the Martin family in the gardens. They paid special attention to the photos of the children. Even if a photo was undated, they could estimate how old the child in the photo was, and since they knew when each child was born, they had a good idea of when the photo was taken. Then they could look at the plants or shrubs or trees in the background and, judging by the size of the specimen, estimate its age as well. You could use this technique to re-create a family garden. 4. Think about how you are going to water your plants. “Are you going to use a drip system? Or are you going to be lugging hoses around?” Hauser said. If you have a corner of your yard where hoses don’t quite reach, you may want to choose plants that tolerate low levels of moisture for that area. At Graycliff, they have drip hoses for certain areas, but there are also new trees that will need special attention until they become well established. 5. Heirloom plants can be wonderful, but they can have drawbacks. Hauser said she has learned that heirloom roses can be more fragrant, while newer varieties can be more colorful and disease resistant. You can see not only the changes to the landscape but the renovations that are going on inside the buildings when you visit Graycliff in person. It’s a New York State Landmark and is listed on the National Register of Historic Places. Graycliff generally is open every day except Wednesdays through Dec. 1, and basic and in-depth tours are offered at different times. See Graycliff’s hours here. Graycliff is closed Thanksgiving Day, but will offer an extended tour schedule on Friday, Nov. 26, and tours will continue all weekend. Yuletide tours will be offered Thursday through Monday, Dec. 26 to 30. Also available are Master Architectural Tours, private tours and group or school tours. Reservations are necessary for all tours due to the limited space. To make reservations, call 716-947-9217 or email graycliff@verizon.net. In your email, request the date and time of the tour you prefer. If you wish to reserve a tour less than 24 hours in advance, please call instead of emailing for a reservation. 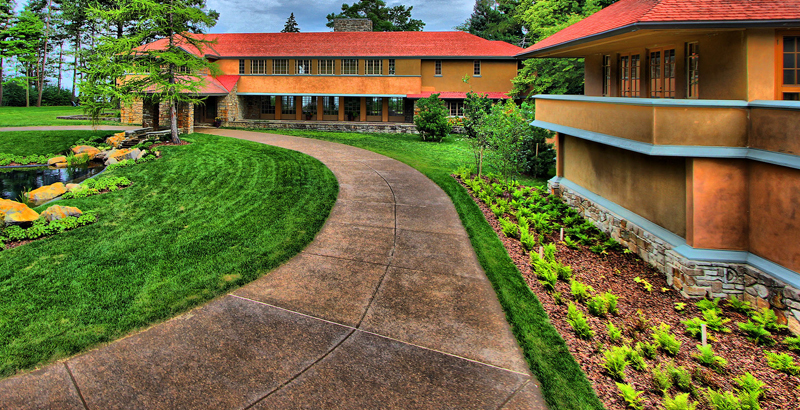 I have been a huge fan of Graycliff and FLW’s ideas forever. I have visited many times…with my husband, relatives from out of town, and my 4th/5th art students as I incorporated original artworks based on FLW every year. However, Jim and I were saddened to find out that the Dawn Redwoods were being removed…we planted one in our garden and love it!! Regardless of preserving the authenticity we are not fans of removing them…what a crying shame! Some things should just remain!! So sorry that decision was made. I have to get there this year. It will be quite treat for me. Just beautiful. I visited before the grounds were restored. I can not wait to visit again. This is the Jewel of the South Towns AKA (God’s Country). What an honor to have as many Frank Lloyd Wright masterpieces in Greater Buffalo as in Chicago! Also interesting that D. Martin was FLW life time’s biggest supporter -in Mr. Wright’s words following Mr. Martin’s death. Greater Buffalo is making a huge comeback, and we say: Welcome back beloved Buffalo!